Discover a practice that works for you. I specialize in teaching my clients, especially healthcare professionals and people with stress-related health issues, this simple, effortless and practical way to meditate. Stay calm under pressure, manage stress, improve your health, and be more adaptive and creative. Jill has teamed up with Emory Med School classmate Marjorie Stiegler to create the TransforMD Mastery Retreat for Women Physicians! The Mastery Retreat will be held from January 16-20, 2019 at an adults-only, all-inclusive, luxury resort in Mexico. This ground-breaking program is unlike any other medical conference or meditation retreat out there. CLICK HERE to learn more! If you watched this video, you've seen how ADAPTATION ENERGY affects how we respond to stressful situations. Now what?? Sign up for our free video to learn how you can maximize your ADAPTATION ENERGY through Conscious Health Meditation! I want to learn more about Adaptation Energy! Thank you for signing up for our video on how to maximize your adaptation energy! We will send you the link shortly. Providing tools for healthcare professionals to manage near-constant levels of stress, limit reactivity in high-stakes situations, maximize compassion and empathy, and stay in the moment during a hectic day of patient care. Learn to integrate this effortless meditation practice into your busy lifestyle. Conscious Health Meditation (also called Vedic meditation) doesn't require any focus, concentration, or clearing the mind. Added bonus: you get to sit comfortably! Courses currently available in Atlanta, Chicago and Minneapolis. Conscious Health Meditation can be practiced anywhere, as long as there's back support! Check out this time-lapse video of a 20 minute meditation... Any guesses why this meditator's head keeps dropping? Jill has teamed up with Dr Marjorie Stiegler, a medical school classmate, to create TransforMD. 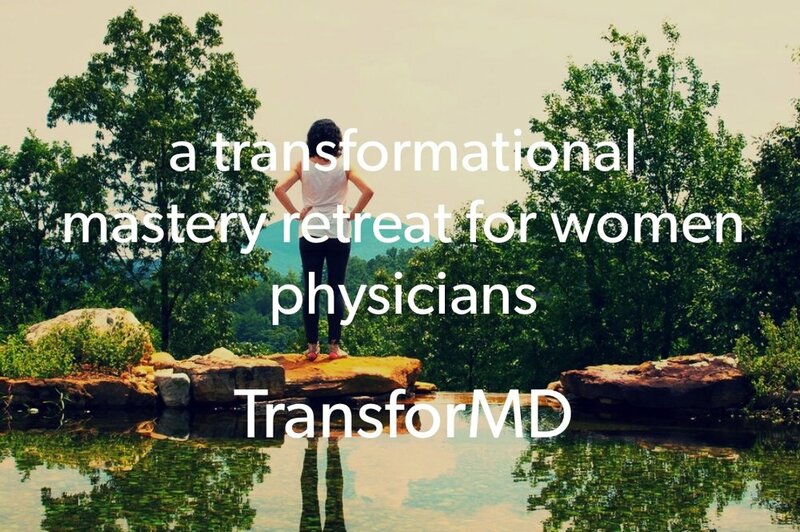 The TransforMD Mastery Retreat for Women Physicians will guide you through a transformational redesign of your life, inside and out. Experience deeply meaningful discovery and clarity about the woman you really are, combined with powerful strategies and coaching to implement real change and achieve true alignment with your unique values, goals, and purpose. January 16-20, 2019, Excellence Playa Mujeres, Mexico (Adults-only, all-inclusive luxury resort!). Register now! Look no further! Jill has presented on the science of stress for medical and non-medical audiences across the country. She has created an informative, practical, and FUN webinar, so that you, too, can access her unique expertise and knowledge. Our dream has always been to have a home-based space to nurture our clients as they expand their meditation practices and improve their health. Check out our schedule for upcoming 4-Part Conscious Health Meditation courses. Follow the studio on Facebook! Receive the latest course announcements, retreat notifications, 'Doctor's Notes' blog posts, and special offers. Watch Jill's presentation at the Theosophical Society on the philosophy and knowledge behind the practice of Conscious Health (Vedic) Meditation. Jill presented three workshops and facilitated the 'Meditation in Medicine' interest group at the Society for General Internal Medicine's national meeting in Washington, DC in April 2017. She will be teaching her Conscious Health Meditation course at the Balance Conference for Women Physicians in Breckenridge, CO, in August 2017. One year ago, I had just opened a meditation studio in the commercial district of my neighborhood in Atlanta. I was living in my teeny sub-500ft ‘career transition’ apartment, and I needed a space to work with clients and teach my meditation course. I was so excited to finally have a place of my own to teach, host workshops, and hold weekly group meditations. I re-signed a lease at my teeny apartment, which was in an ideal location and also fit my budget, given the expenses of the commercial space.